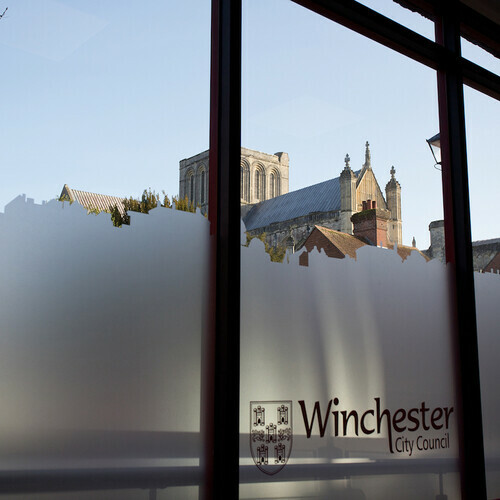 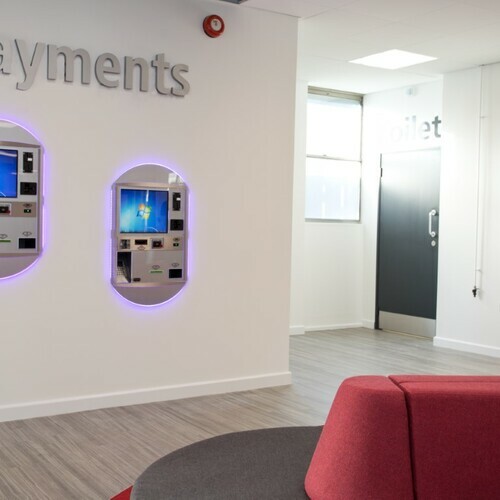 Winchester City Council appointed Portsdown to complete the design and build refurbishment of their main Civic Reception area following a successful tender for their office fit out. 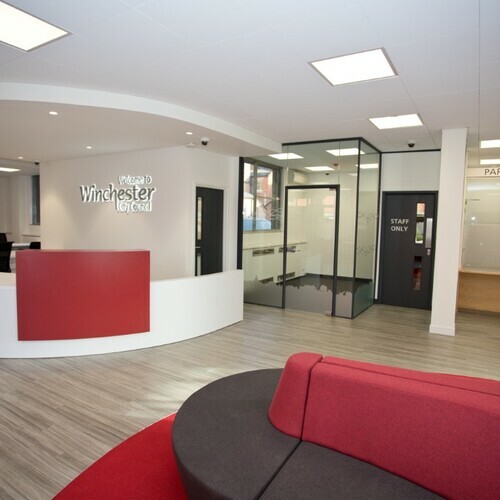 Winchester City Council appointed Portsdown to complete the design and build refurbishment of their main Civic Reception area following a successful tender for their office fit out. 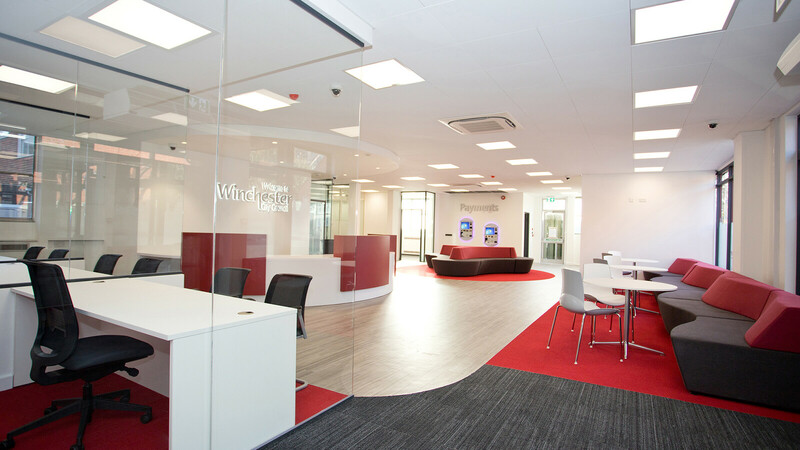 The client loved the design which totally transformed the space, creating a new contemporary reception to serve their customers from. 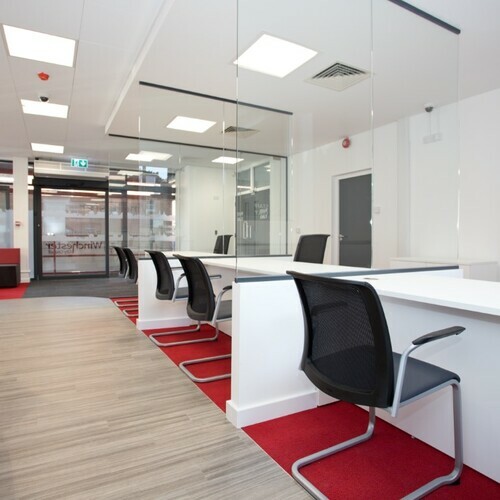 The Portsdown Design Team led the bid with a stunning bright and fresh approach to the layout and the furnishing of the space. 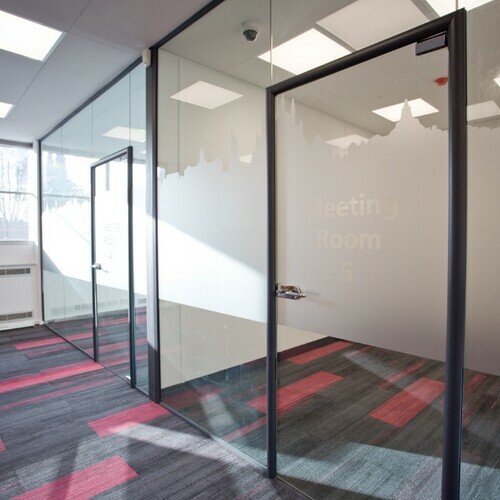 Creative lighting, signage, and window manifestations added to the schemes overall look and shaped furniture offered a much softer and welcoming feel to the space. 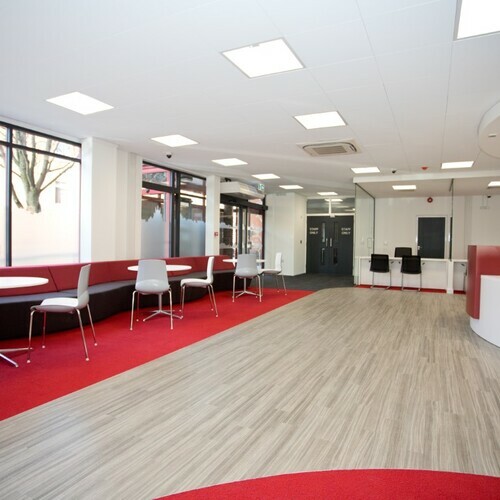 The refurbishment took place over an 8 week program carefully project and site managed to ensure it ran safely and on time for the grand opening..